What a show stopping gown! 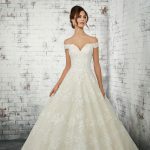 This beautiful sheath, fit and flare gown is so elegant. 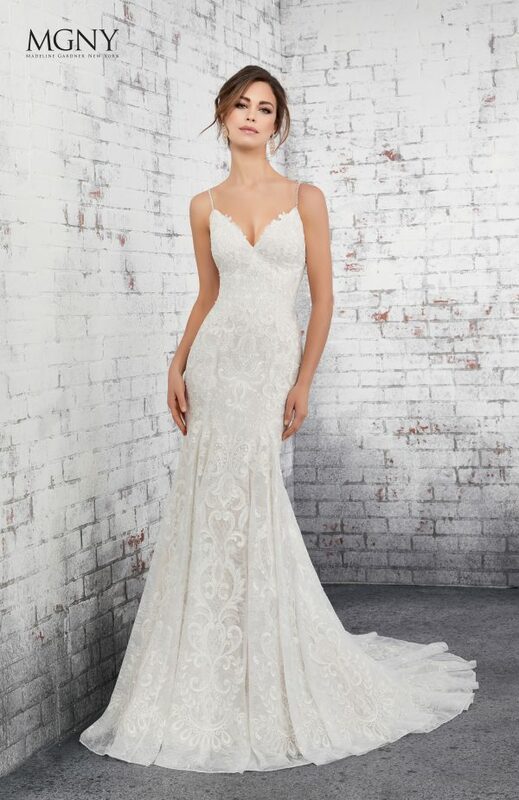 The detail is stunning with frosted medallion style appliques over Chantilly Lace. With the pattern and cut in mind the phrase, ‘less is more’ was made for this gown! The low, open back, shoe string straps continuous pattern elongate the torso creating a striking silhouette.